Dans le nord-ouest de la province du Sichuan, la région de Huanglong comprend des sommets couverts de neiges éternelles et le glacier chinois situé le plus à l'est. À ses paysages de montagne s'ajoutent des écosystèmes forestiers très variés, associés à des formations karstiques spectaculaires, des chutes d'eau et des sources d'eau chaude. La région abrite un certain nombre d'espèces animales menacées, dont le panda géant et le singe doré à nez camus du Sichuan. تقع منطقة هوانغلونغ شمال غرب مقاطعة سيشوان وهي تضمّ قمماً تغطيّها أبداً الثلوج والقمّة الجليديّة الصينيّة القائمة عند أقصى الشرق. تُضاف إلى مناظرها الجبليّة النظم البيئيّة الحرجيّة المتنوّعة والتكوّنات الصلصاليّة الخلاّبة وشلالات المياه ومنابع المياه الساخنة. وتضم المنطقة عدداً من الأصناف الحيوانيّة المهددة ومنها دب الباندا العملاق وقرد سيشوان المذهّب ذات الأنف الأفطس. Долина Хуанлун находится на северо-западе провинции Сычуань. Она окружена снежными горными вершинами, здесь же – самый восточный из всех ледников Китая. В долине произрастают леса самого различного состава, здесь можно увидеть целые каскады известковых террас и ванн, водопады и термальные источники. Отмечен целый ряд редких животных, включая гигантскую панду и обезьяну – золотого курносого лангура. Situada al noreste de la provincia de Sichuan, la región de Huanglong posee un macizo montañoso con cumbres cubiertas por nieves perpetuas y el glaciar mí¡s oriental de China. A sus bellos paisajes montañosos vienen a añadirse ecosistemas forestales muy variados, formaciones kí¡rsticas espectaculares, cascadas y fuentes de aguas termales. La región alberga algunas especies animales en peligro de extinción, como el panda gigante y el mono dorado de nariz chata. De Huanglong vallei ligt in het noordwesten van de provincie Sichuan en bestaat uit sneeuwbedekte toppen en de meest oostelijke van alle Chinese gletsjers. Behalve het berglandschap komen er ook diverse bosecosystemen voor, net als indrukwekkende kalksteenformaties, watervallen en warmwaterbronnen. Grote delen van het gebied genoten honderdduizenden jaren bescherming vanwege ofwel de ontoegankelijkheid ervan ofwel omdat de plek een belangrijke positie innam in de lokale cultuur en Tibetaanse religie. Huanglong is ook het leefgebied van een aantal bedreigde dieren, waaronder de reuzenpanda, de Sichuan gouden stompneusaap, de Aziatische zwarte beer, de pallaskat, de Sichuan takin, de Chinese bosgems, de Himalaya goral en het argali schaap. Situated in the north-west of Sichuan Province, the Huanglong valley with its series of travertine lakes, waterfalls, forests and mountain scenery is a superlative natural property. Topped by permanently snow-capped peaks rising from a base of 1,700 m up to 5,588 m, these include the easternmost glacier in China. Covering 60,000 ha, this area located within the Minshan Mountains also includes spectacular limestone formations and hot springs. Its diverse forest ecosystems provide the home for a number of endangered plants and animals, including the giant panda and Sichuan golden snub-nosed monkey. Criterion (vii): Huanglong is renowned for its beautiful mountainous scenery, with relatively undisturbed and highly diverse forest ecosystems, combined with the more spectacular localised karst formations, such as travertine pools, waterfalls and limestone shoals. Its travertine terraces and lakes are certainly unique in all of Asia, and rate among the three most outstanding examples in the world. The Huanglong valley is relatively compact and surrounded on three sides by precipitous peaks. An entrance station at the mouth of the valley controls access. Outside the buffer zone there is seasonal stock grazing by nomadic Tibetan pastoralists but impacts are limited. The property contains all the necessary elements to demonstrate its aesthetic importance including, in particular, travertine formations, waterfalls and limestone formations. Tourist impacts are controlled through strict management through a zoning system, ensuring that forest ecosystems and mountain scenery are well protected. Wildlife is in a healthy state with numbers increasing, and the vegetation is recovering well. As a national park, Huanglong is protected by national and local laws and regulations. 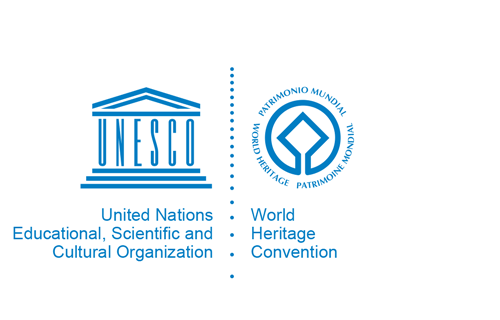 These laws and regulations include the Environment Protection Law, Law of China on the Protection of Wildlife, Regulation on National Park in China, Sichuan Provincial Regulation on World Heritage Protection, promulgatedin 2004, and Regulation on Implementing Sichuan Provincial Regulation on World Heritage Protection promulgated by Aba Autonomous Prefecture. These ensure the long-term management and conservation of the property. In 2006, the administrative structure of Huanglong World Heritage Property was established, comprised of more than 20 departments including Nature Protection, Scientific Research, Planning and others. A substantial budget is provided to ensure the protection of the property. From 2004 to 2007, the Sichuan Provincial Government organized the Survey on Water Circulation System of Huanglong-Jiuzhaigou World Heritage Site and the Survey on Fragile Ecosystems in Scenic Areas. These provide a comprehensive database for protection and management operations. The main management issue is the growing number of tourists. Other potential issues requiring effective action include natural forest fire and pollution. The property benefits from the Master Plan of Huanglong, together with a Scenic Planning Standard, for better protection, demonstration, utilization and management of the property. This Plan promotes, through strict observance of the law and effective science-based management, its environmental, social and economic sustainable development.